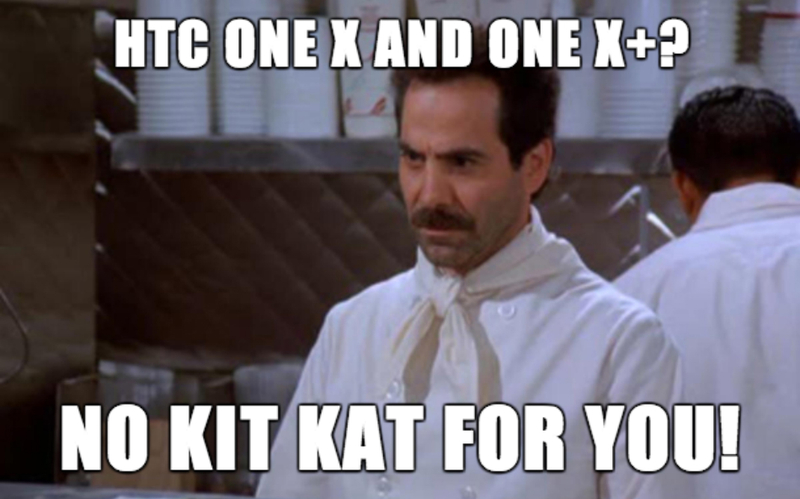 HTC announced via Twitter that the One X and One X+ will be staying on their current version of Android, and won’t ever be seeing a Kit Kat update. Both devices currently sit on Android 4.2.2, not even 4.3 which would have been nice for consumers. Truth be told, the One X is nearly two years old, so without sounding like a hypocrite, we should say that HTC’s apparent lack of support for this particular phone shouldn’t come as a surprise. However, the One X+ was launched in October of 2012, so the phone isn’t even close to two years old. Why HTC feels like cutting support for this device, which sports specs that could easily handle Kit Kat, makes very little sense and is sure to anger a few buyers. With that said, HTC’s resources are probably being stretched quite thinly this year, and when you throw in the task of assigning teams to older devices, productivity is sure to suffer at some point. HTC might do best to focus on somewhat younger/more popular devices, while also making sure their next release (HTC M8) is phenomenal. HTC comments that both devices still feature the company’s fantastic camera and audio software, so customers should be happy about that. While that might salt the wound for some buyers, it is what it is. 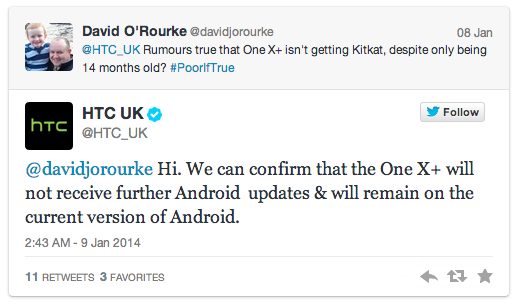 We can confirm that the HTC One X and One X+ will not receive further Android OS updates beyond Android 4.2.2 with Sense 5. We realize this news will be met with disappointment by some, but our customers should feel confident that we have designed both devices to be optimized with our amazing camera and audio experiences. If you really need Kit Kat, go check out a custom ROM. Is the Nexus 7 About to Join Verizon's Official Tablet Lineup?